Houghton Mifflin Harcourt, 9780764524837, 1008pp. 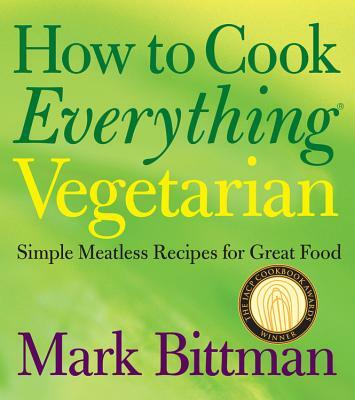 MARK BITTMAN is the author of more than 20 books, including the best-selling, award-winning How to Cook Everything series, several of which are also successful apps. As a beloved New York Times columnist and writer, he produced The Minimalist column, hundreds of food and travel stories and videos, and was the country's leading weekly Opinion writer on food. He now devotes his time to cookbooks, teaching, and developing strategies to guarantee that food is fair, affordable, nutritious, green, and delicious. He can be found at markbittman.com, @bittman on Twitter, and @markbittman on Instagram.